The losses on NE and TWTR were actually the second half of trades from the week before that were taken out on the 100% Up rule. 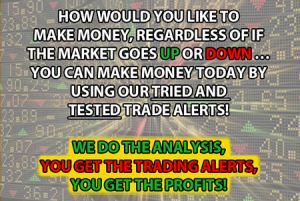 This left us with overall profits in both trades. Funds in use are $1236. The attacks in Paris should generate some well- deserved anxiety and along with that generally comes international purchases of Gold and some of the miners. As Mike points out in the Fundamental section later in this letter, this is also a time of the year for a rally in the metals. I will determine the best way to trade the gold or silver after I see what the futures are doing overnight. Early in the week we went long the bonds (TLT) and it seems to be working. I was on this side of the market when nobody else could see anything but higher rates back In November of last year. Technically we had a temporary top around 152 (Dec 30-yr Contract) after a rally from 142. We than had pullback and then we broke out to a massive move to 166 in just 3 weeks. I have said repeatedly that these are moves that used to take months or years, but these markets are no longer bound by time. After coming back down to consolidate in the 148-152 area we had several closes all around that magic number..152. Three weeks ago I said that if we broke 156 we would test 152, and this area again looks to me to be very important. If the trend line beginning in January 2014 holds we could see a test of 156 or higher. The 16 SUN Dec 40 Calls lost $ 304, also sold on the 50% loss Rule. 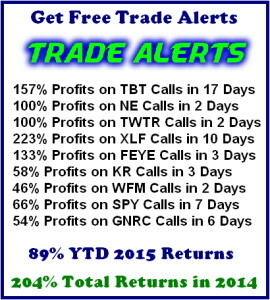 The ETSY December 10 Calls were sold on Nov 10th at $ 0.50 losing $ 240.
while the TJX Calls sold on the 10th lost $ 132. The options total for the week showed a loss of $ 1,612. For the year to date we have gains of $ 21,907. Open position losses in the stock account increased by $ 1,813 to $ 16,109. 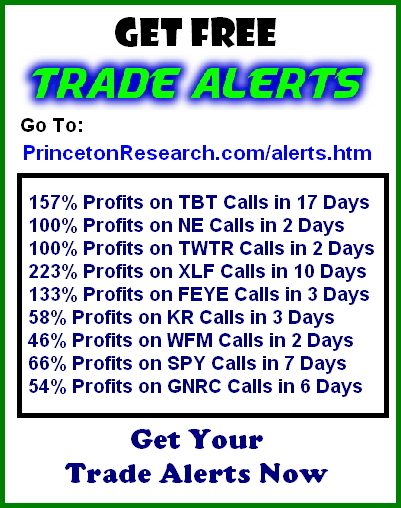 The two long open options positions in the table below are: 12 PFE and 8 TLT Calls. After making a seasonal high of 2116.48 on November 3rd the S&P 500 has slid seven of the past eight trading days to 2023.04, a decline of 4.4%. Last week alone it fell 3.63%. 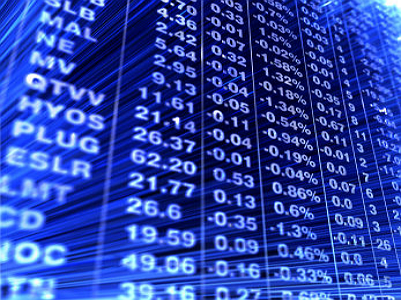 The Nasdaq, previously the leading index was the worst last week falling 4.26%, down 219.24 points to 4927.88. 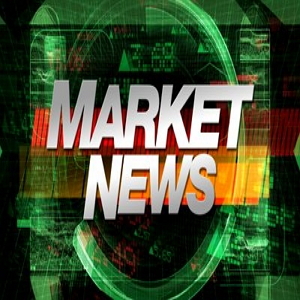 The Dow closed at 17,245 for a loss of 665 points or 3.7% while the Russell 2000 fell 53 points or 4.43% to 1146.55. Meanwhile, the DJ Transportation average was the best acting of all the misery down the least, 2.80% holding at 8010 off 231 points. Top line revenues have not kept up with even lackluster earnings which together with the election year typical weakness could cause concern as the market seeks another support level. Crude oil prices collapsed 8% last week which makes a decline of more than 16% for the month of November. Treasuries rallied on weak economic data, a dovish ECB and plummeting oil prices. 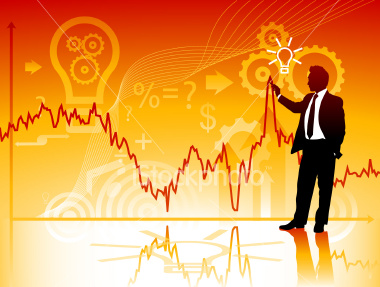 Economic data continued very weak exacerbated by an extension of the two-week sell off in the stock market. Retail Sales, Core Retail Sales, the PPI and the Core PPI all missed expectations. The possibility of a deposit rate cut at the European central Bank’s December meeting also rose after comments from ECB President Mario Draghi last Thursday. The 10-year German Bund fell 14 basis points. With the world bent on low rates and stocks in the doldrums, it appears to be the perfect time to buy Gold futures or just the GLD ETF. ( GLD: $ 103.55 ) The GLD November 20th 103 Call expires next Friday the 20th.It closed at 1.22. The December 18th 103 Call closed at 2.42 and that is the option we are recommending. Charles will put a trader’s touch to it. Gold prices tend to move up prior to the holidays, and the trend has worked especially well over the last 15 years. Seasonally speaking, it is best for traders to go long about now up to about November 18 and hold until about December 3. Over the last 40 years, this trade has worked 22 times for a success rate of 55.0% .The cumulative profit tallies up to $25,990. Up until two years ago this trade had been profitable for 12 straight years (2000-2011). The longer-term history of this trade is not as good, nonetheless profitable. Gold has had another tough year, but this is a short-term trade and gold has become oversold and appears ready for a bounce. Retail sales were up a weaker than expected 0.1% (Briefing.com consensus 0.3%), while sales, excluding autos, were up a weaker than expected 0.2% (Briefing.com consensus 0.4%). Results for September were revised lower with total sales unchanged (from 0.1%) and sales excluding autos revised to -0.4% (from -0.3%).Gasoline station sales declined 0.9%, auto and parts sales fell 0.5%, electronics and appliance store sales were down 0.4%, and food and beverage store sales were down 0.3%. Clothing and clothing accessories sales were flat after declining 0.1% in August. The increase in retail sales trailed the robust 0.6% increase in aggregate earnings seen in the October employment report, suggesting consumers continue to show a propensity to save money and/or pay down debt versus spending it more liberally on goods. The preliminary reading for the University of Michigan Consumer Sentiment Index for November showed an uptick to 93.1 from the final reading of 90.0 for October and 88.8 in the same period a year ago. The Briefing.com consensus expected a reading of 92.0. The improvement in November was driven by higher readings for both the Current Economic Conditions Index (to 104.8 from 102.3) and the Index of Consumer Expectations (to 85.6 from 82.1). According to the chief economist for the survey, the overall increase was attributed to a stronger outlook for the domestic economy, which was fed by consumers anticipating somewhat larger income increases in 2016 and a somewhat lower inflation rate. It was noted separately that buying plans for large discretionary items, especially vehicles, improved. Consumer sentiment has little influence on consumption. As long as payroll levels continue to expand, the resulting income growth should keep consumption gains steady regardless of the monthly ebbs and flows in sentiment. Since the late September bottom, and shortly thereafter the Stock Traders’ Almanac Seasonal MACD Buy Signal emerged on October 5 and the market had vaulted higher. DJIA, S&P 500 and NASDAQ all reclaimed their respective 50- and 200-day moving averages. Today’s declines made a complete reversal putting the DJIA and S&P 500 back below their 200-day moving averages (solid red line in charts below). NASDAQ remains around 1% above its 200-day moving average. 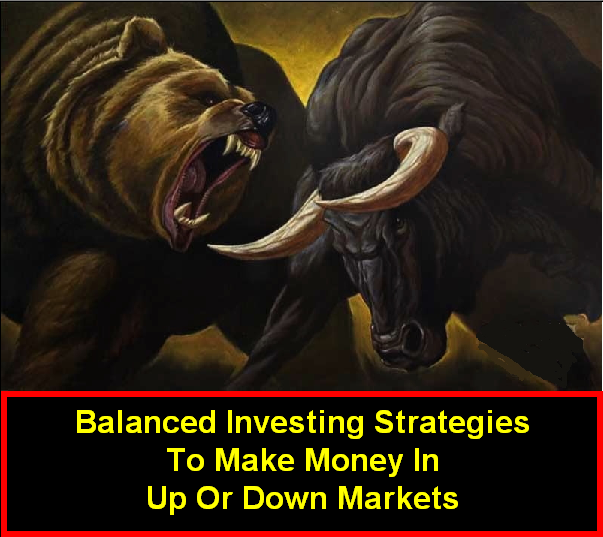 Stochastic, relative strength and MACD indicators have all plunged in the past few trading sessions, confirming the loss of upward momentum. After a brief respite, the usual suspects of headwinds have reemerged. Greece, Puerto Rico very weak earnings and huge oil supplies are back in the headlines accompanied by the Fed’s desire to raise rates which in turn triggered the dollar to strengthen somewhat and commodities to stumble again. It still remains to be seen if the Fed will actually raise rates at its December meeting. Geopolitical events concerning the Isis and Europe have become an increasing headwind. The issue of the Fed is becoming a back-seat event to more troubling problems. Whether or not the Fed actual has to raise rates is still an open discussion, but if they did, it would remove one large uncertainty that has held the market in check for the better part of a year. At which point, it would not be surprising to see the market make another run at record highs sometime in Q1 or early Q2 2016. This turbulent market has had an effect on the price of Enzo Biochem. 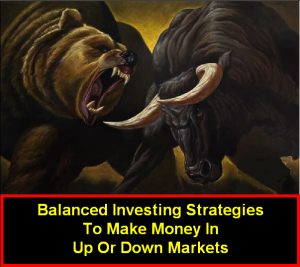 The markets, in my opinion, have been in a rotating correction and in some instances, a bear market for some months. It appears that the cause of this is China but I am sure that there are other factors. If you remember the ‘flash crash” of 2010 the market correction was over quickly and those that held through that market decline profited handsomely over the years after the crash. I think that the market is giving us another chance to buy Enzo Biochem at a bargain price. The Company’s fiscal year was over July 31. I would imagine the Quarter and Year results will be made available by mid-October. With the cash settlement in two litigations the cash position should show a major improvement. Top line revenues should also show an improvement. Depending on R&D expenses and litigation expenses the net loss should also show improvement. At today’s price of $2.90 the Company is valued at approximately $130 million and with revenues approaching $100 million or 1.3 times revenues. The last Craig Hallum report had a fair value of Enzo’s business of $6 per share. When AmpiProbe is approved and into the market that number is projected at $14 per share. There is always risk in the market so the investment is not without risk but if held over time should deliver handsome profits off of today’s price. Items to look forward to by the end of the year would be litigation news and an AmpiProbe decision all of which should have a positive impact on the stock price. ILST is pleased to announce that the company’s management team will host an Investor Presentation/Reception at the historic Golden Nugget in Las Vegas, NV on November 15, followed by a tour of the Van Deemen gold project outside of Kingman, Arizona on November 16. The HDGE had a huge rally last week up almost 5%. The HDGE is a buy when the market goes into periods of weakness like the past week. We recommended to buy last week a stop loss at 10.28. It is a hedge against some long positions. We took sizable profits on the United Rentals URI. The Enzo Biochem ENZ has made sizeable gains. The Arcelor Mital, Deere , DSX and Sunoco were stopped out with relatively small losses. We are long Southwest Air (LUV) at 30 and we bought Virgin Air (VA) at 32.20. Please check on the previous weekly market letters if there are questions. . We are long in Diana Shipping at 6.60. We are long Bank of America at 15.65. and would use 15.02 as a stop loss . BAC looks to have made a double bottom at the 14.63 area.